JUST REDUCTED. SELLER SAYS ''MOVE IT''! FRESH / FABULOUS & FUN!!! This sensible one-level property has just undergone major renovations & results are AMAZING!!! [Its horse shoe-shaped design offers awesome flow & function]. Oversized Entry Hall, Spacious Formal Living Rm w/ f/place and atrium door access to large rear deck. Chef's Kitchen w/ gas range/quartz countertops & great style (opens to both Keeping Room AND Dining Room - ideal for entertaining). Master Suite w/ new Luxury Bath, 3 other spacious / fresh bdrms + other updated baths. ''Jaw-Dropping!'' 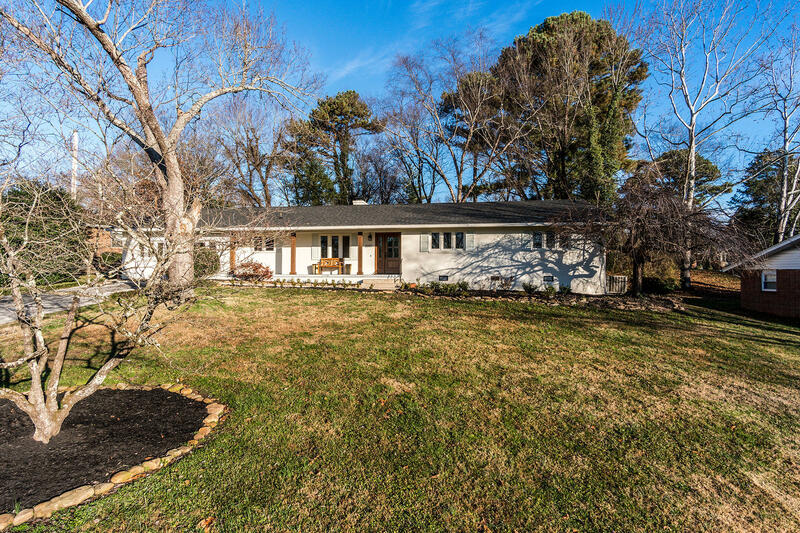 / 'magazine worthy'' vaulted &beamed Screened Porch w/ hobby room & multiple storage area. New Roof/paint/ designer light fixtures/gleaming hardwoods/huge level rear yard/ new landscaping & more. Bedroom 2: Could Be Additional Living Qtrs.